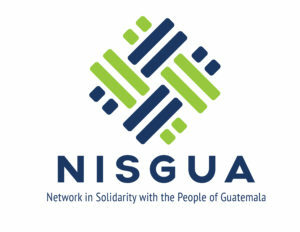 During the night of December 5, 1982, the Guatemalan military blocked all access points to the community of Las Dos Erres, Petén, and a patrol unit of kaibil special forces entered the area. Between December 6–8, they would separate the men from the women and children, torturing the men and sexually assaulting many of the women. Afterwards, nearly all of the residents of Las Dos Erres were massacred, their bodies dumped into a community well. It is estimated that 350 community members were killed. On August 2, 2011, three former kaibiles – Manuel Pop Sun, Reyes Collin Gualip, and Daniel Martínez Mendez – and former Commanding Officer Carlos Antonio Carías López, were convicted for crimes against humanity and the murder of 201 people and sentenced to 6,060 years in prison. Carías López was sentenced to an additional six years in prison for aggravated robbery after the massacre. Ex-kaibil Pedro Pimentel Ríos was deported from the United States in 2012 and stood trial for having also participated in the massacre. Like the others, he was sentenced to 6,060 years in prison. The sentences in 2011 helped to pave the way for prosecution of the intellectual authors of crimes against humanity and genocide. On November 22, Santos López Alonso, a former kaibil, was sentenced to 5,160 years in prison for his part in the massacre. López Alonso was the sixth official involved in the Dos Erres massacre to be sentenced. He was also accused of falsifying the documents of one of the few survivors, Ramiro Antonio Osorio Cristales, a five year old boy who López Alonso kidnapped after the massacre. López Alonso was not found guilty of falsifying documents due to an expired statute of limitations. Gilberto Jordán (former kaibil) was convicted in 2010 in the United States for naturalization fraud, for having lied on his U.S. citizenship application about his role in the Guatemalan military. Jorge Vinicio Sosa Orantes (former kaibil) is also currently serving a 10-year prison sentence in the United States for naturalization fraud. Former Guatemalan dictator José Efraín Ríos Montt who was the de facto president at the time of the massacre also faced charges of crimes against humanity and genocide for the Dos Erres massacre before his death on April 1, 2018.